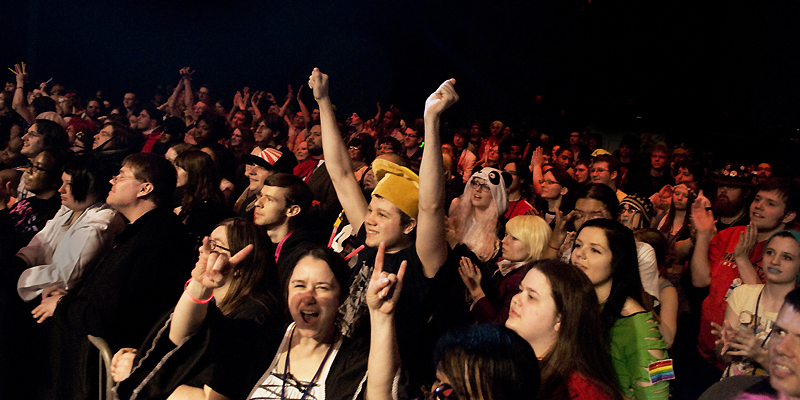 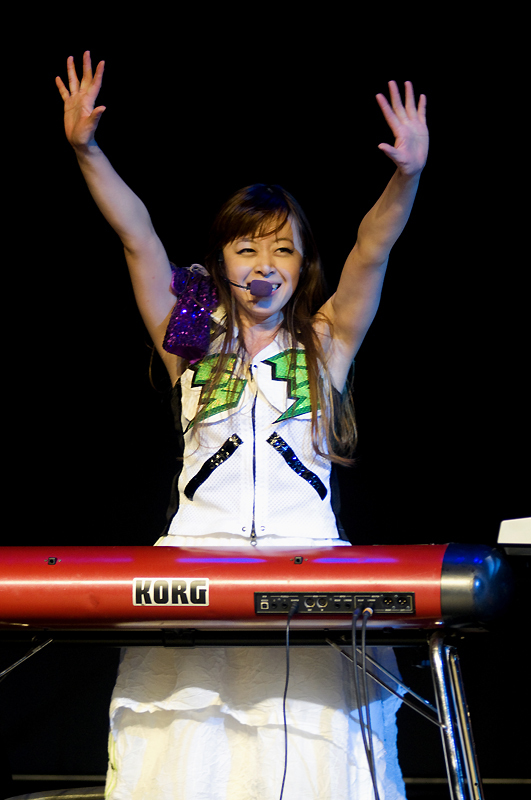 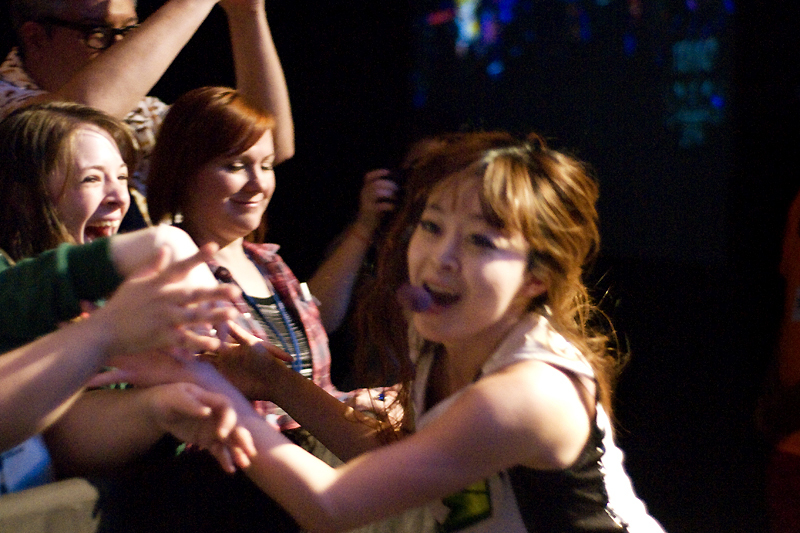 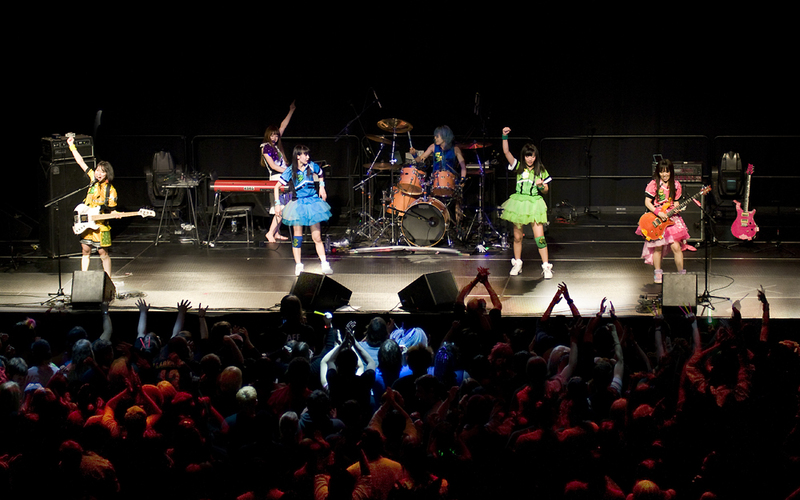 All-female J-Rock band Gacharic Spin treated fans to an early performance of their new song “Winner” at Pittsburgh’s Tekko 2014 in front of an audience of over 1200 people. 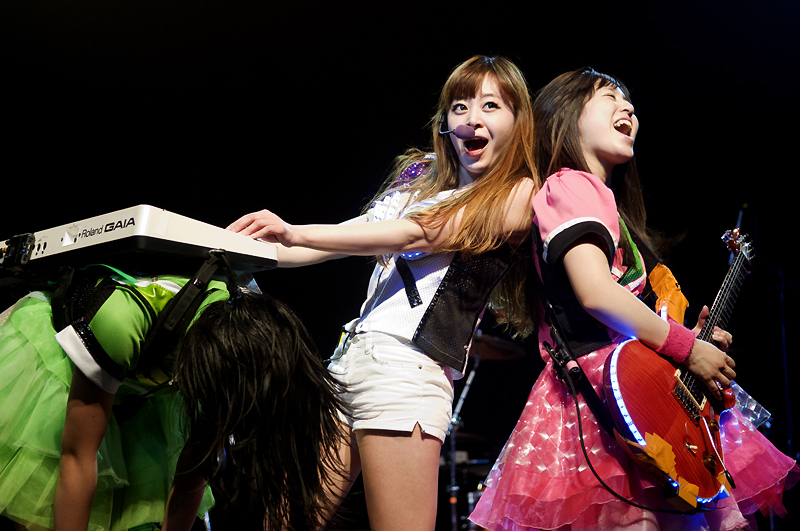 With the release of their new album Winner just a few days away from the concert, the 6-member band performed a high energy, hour-long set on April 5 at the David L. Lawrence Convention Center, including “Sayonara Cherry” (from their recent single Boku Dake No Cinderella) and a playful, costumed performance of “Beauty and the Beast”, Gacharic Spin’s contribution to the Disney Rocks!!! 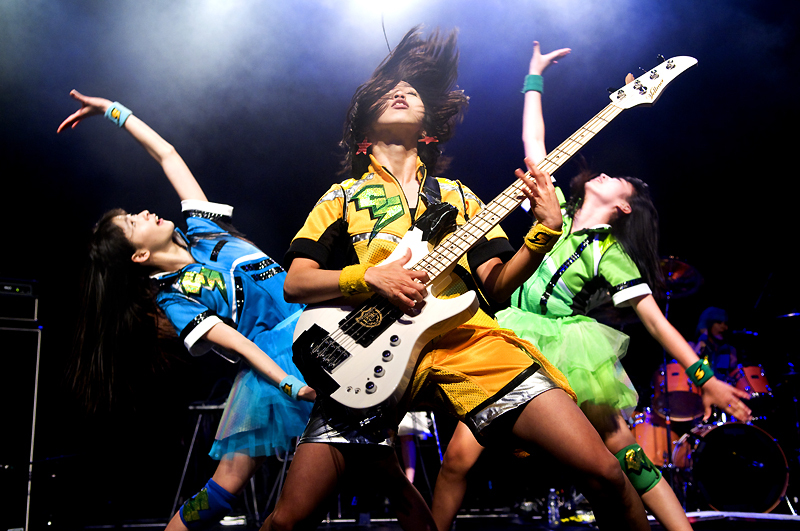 Girls Power! 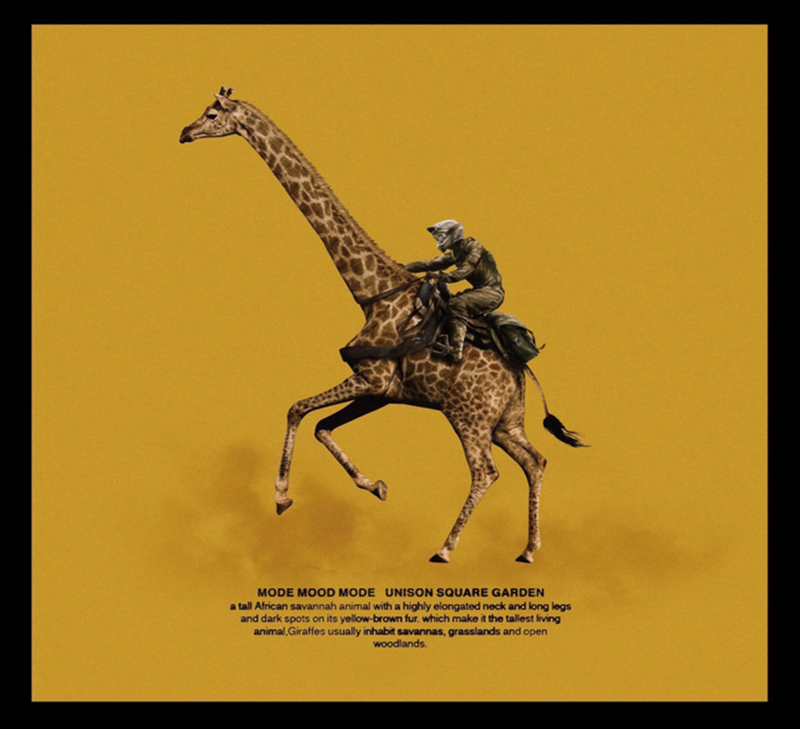 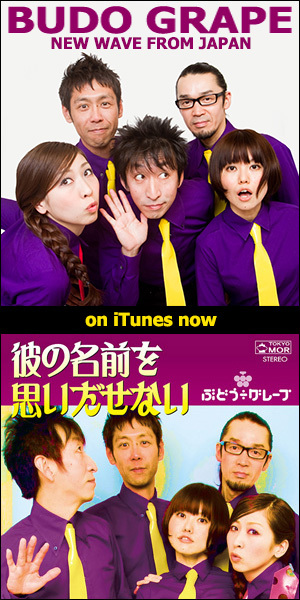 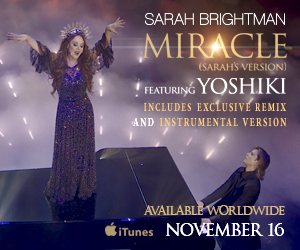 compilation album. 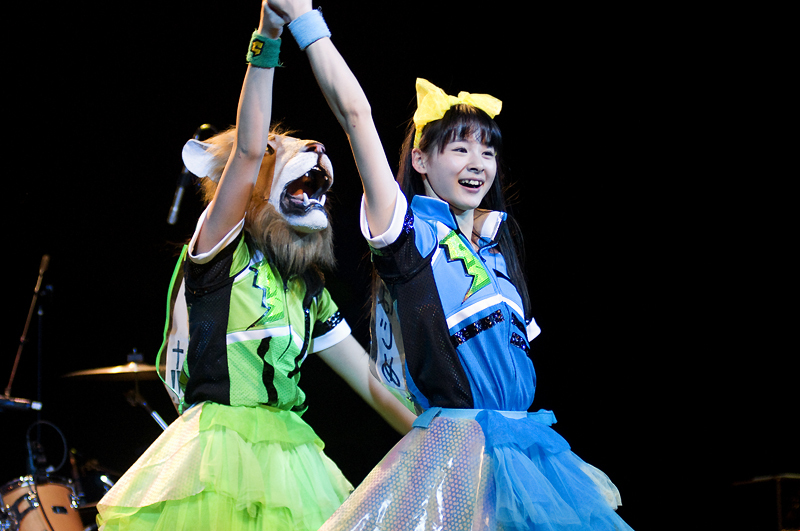 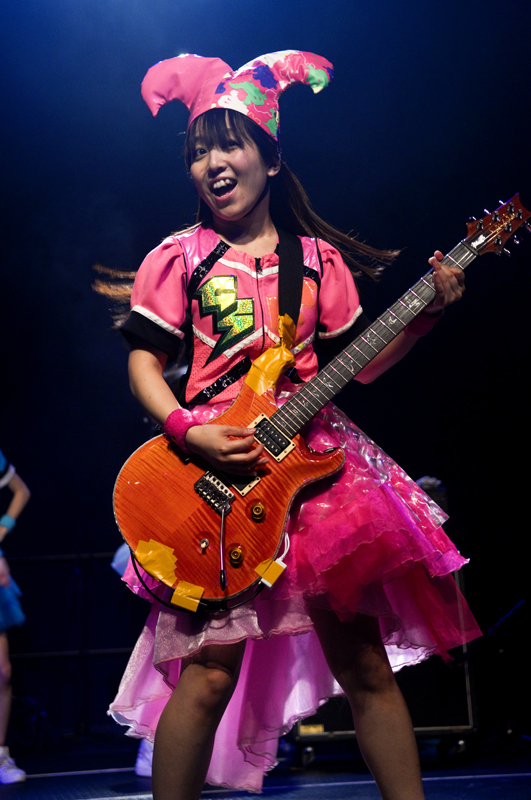 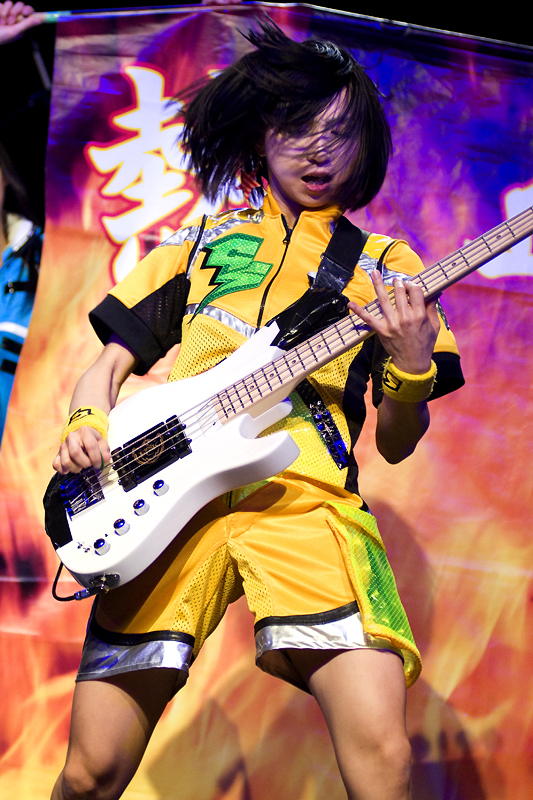 Gacharic Spin brought their trademark theatrics for the Pittsburgh fans including bright costumes, neon accessories, a flame-colored banner held behind F Chopper Koga’s bass solo, and non-stop choreography from dancers Mai and Arisa. 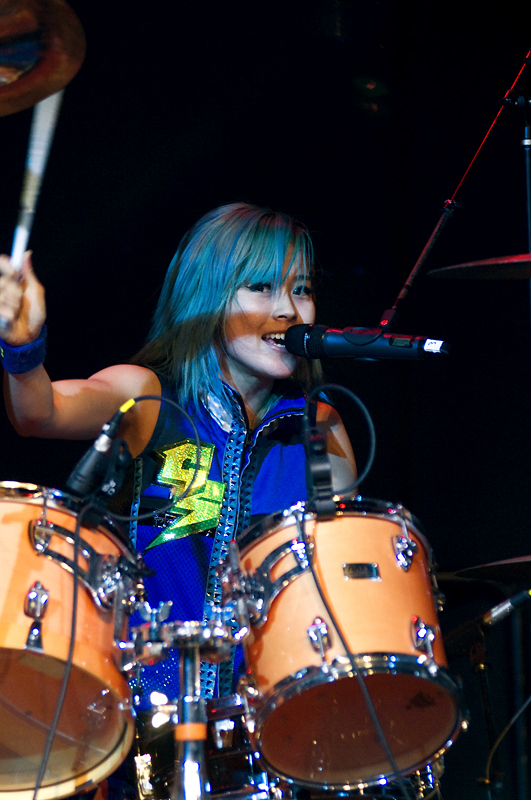 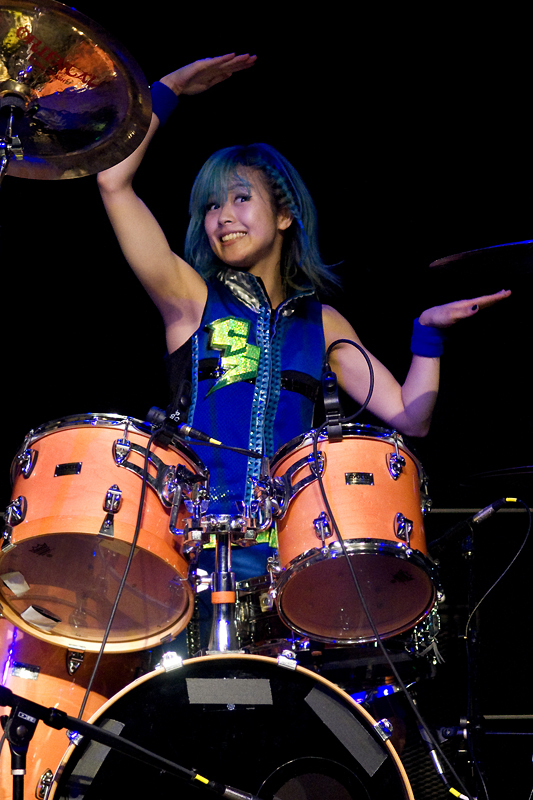 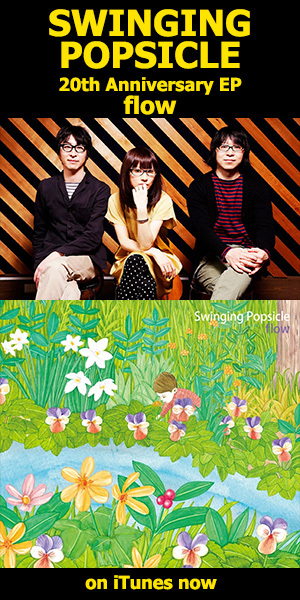 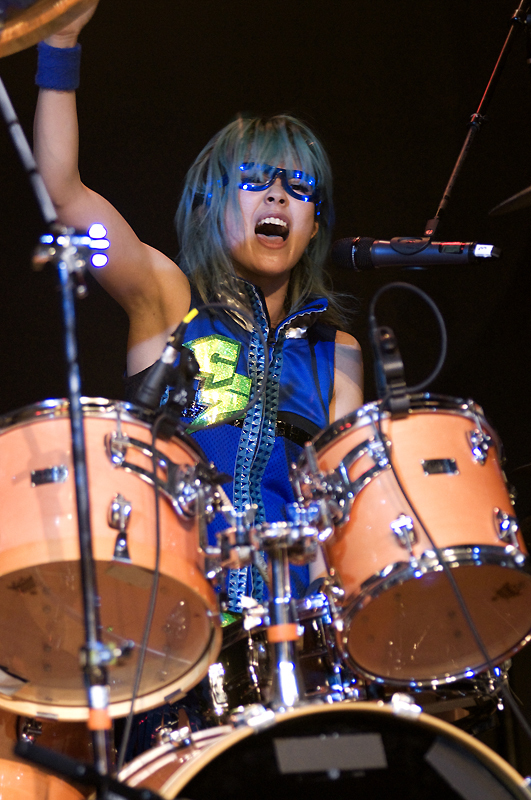 Drummer Hana handled the majority of the concert’s vocals, pounding the kit with her signature blue Tama drum sticks. 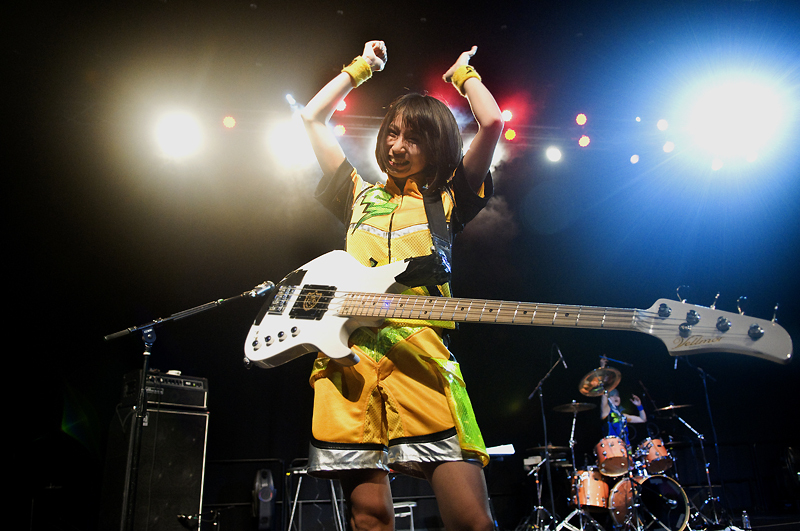 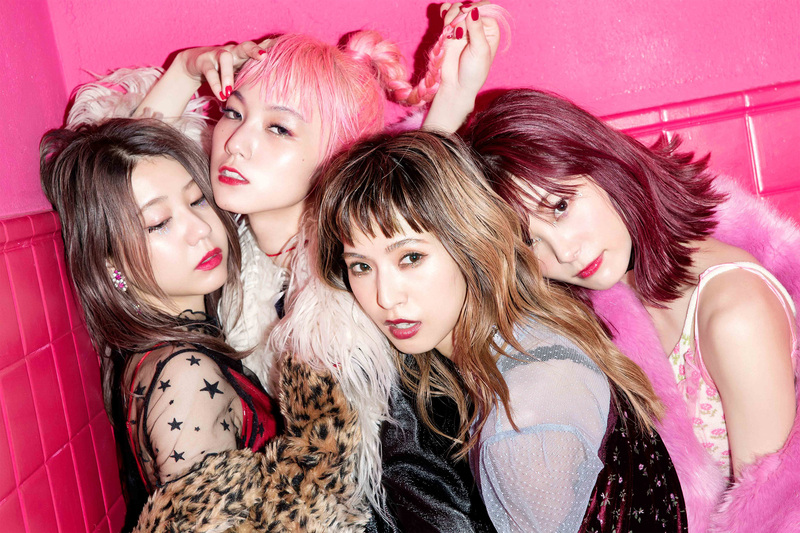 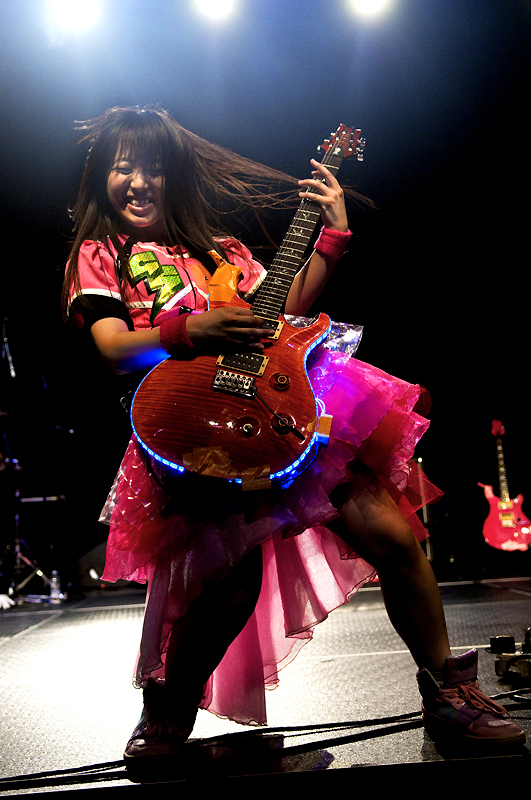 Keyboard player and vocalist Oreo Reona jumped off the stage to give a surprise greeting to the front row, and guitarist Tomo-zo shredded through hits “Juicy Beats” and “Lock On!”. 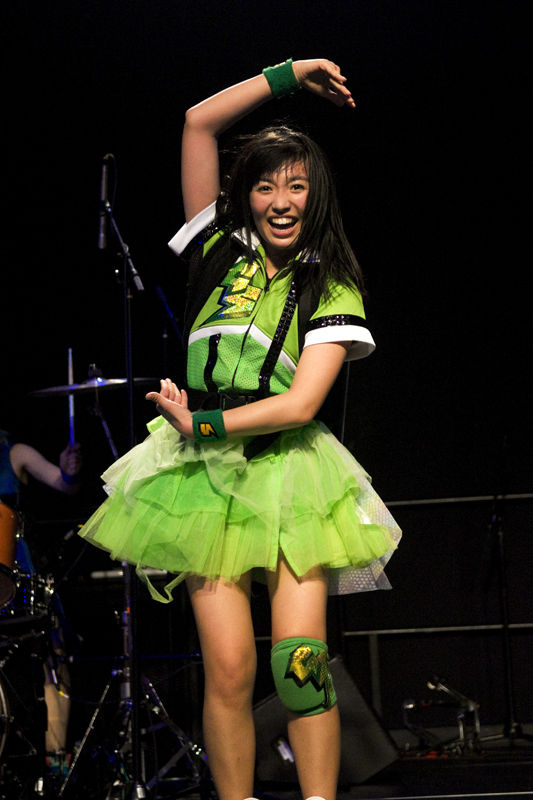 Gacharic Spin filled up the weekend with a fan Q&A, two autograph sessions, and a private live show at Pittsburgh’s Hard Rock Cafe on April 6.